Our faculty consists of professors affiliated with institutions such as Harvard, Yale, Stanford, University of Chicago, University of Michigan, Duke University, New York University, London Business School, Cambridge, University of St. Gallen, Copenhagen Business School, Bocconi University, Zagreb School of Economics and Management, Sciences Po, HEC Paris, and more. At LSB, whether you sign up for an executive education program or an MBA, be ready for an exciting time. You will be exposed to business situations where your knowledge is challenged and out of the box solutions are discussed. You will have to communicate and find common ground with faculty and classmates and business leaders from all around the world. Your opinion on subjects matters. LSB MBA is focused on developing the hard skills that enable you to make an impact on day one. You will gain the hard management skills and develop them as you become a true leader. Studying at LSB gives you access to various cultures, experiences, and ways of thinking. Through collaboration, you will gain from the rich experiences of your international classmates, professors, and corporate leaders. The award-winning faculty is at the frontline of innovative teaching methods in business administration. Learn to think and decide like a leader in case studies and consulting projects. The curriculum is designed to develop you into a leader who can see, take charge of, and develop new opportunities. Your LSB MBA experience brings more than just academic knowledge and practical skills. Our goal is to provide you with a unique experience – academic and otherwise. To be a globally recognized high-quality business school in the heart of Europe. 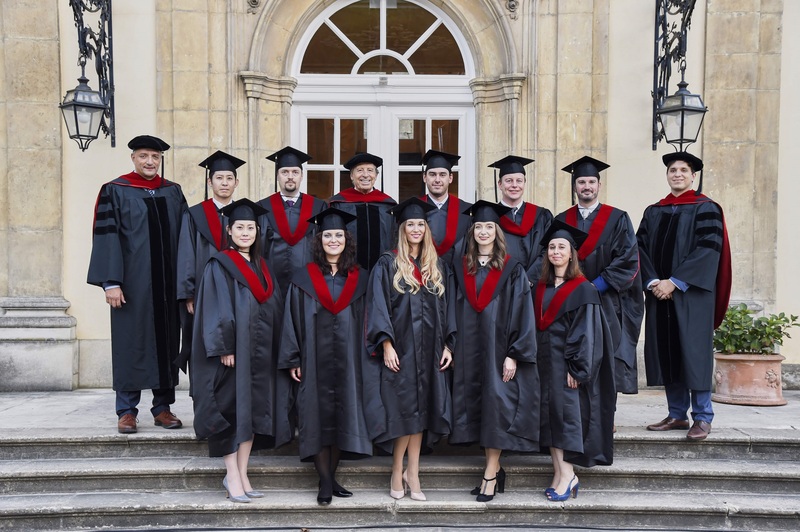 The mission of the School is to provide an inspiring and multicultural learning environment for business leaders from international companies operating in Luxembourg as well as across Europe and the world. In achieving its educational and academic goals, the School uses contemporary teaching and research methods, promotes cultural and intellectual diversity. The School partners with the international business community and prepares business leaders to prosper in a complex global business world. Luxembourg School of Business is accredited by the Luxembourg Ministry of Higher Education and Research. The accreditation applies to the entire institution as well as to the Master of Business Administration program. LSB is accredited via a ministerial decree dated as of 29 August 2017 for the duration of five years. In the continuously changing company context, the role of HR is constantly evolving. The business expects HR professionals who can think strategically and find solutions for the new challenges people and organizations are facing. This option is designed for professionals who wish to complement the MBA with their passion for Human Resources, learn how to utilize their people to achieve organizational objectives, how to recruit star employees, how to manage change, create an HR strategy, and more. The LSB Weekend MBA will give you direct experience with top international faculty from some of the best business schools in the world. Our professors are not only world-class academics, but also global business leaders. Some are top-level managers in international corporations while others are academics with leading research knowledge and substantial business experience across a range of industries.